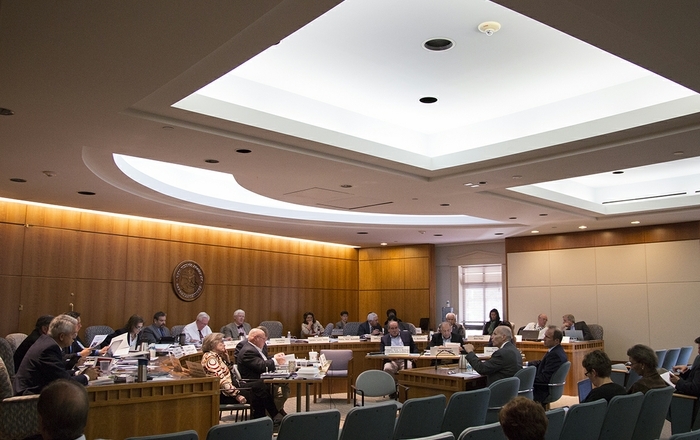 SANTA FE – The University of New Mexico Health Sciences Center (HSC) continues to lag significantly behind other academic health centers across the country when it comes to physician faculty pay, the HSC’s top administrator told state lawmakers this week as he laid out funding priorities for the upcoming legislative session. The 60-day session is set to begin Jan. 20. The HSC is requesting about $4.8 million for faculty pay to help make M.D. 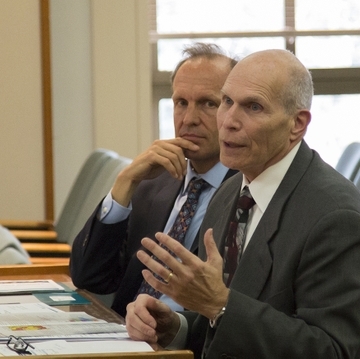 faculty salaries at the UNM School of Medicine more competitive, Paul Roth, MD, UNM chancellor for health sciences, told members of the Legislative Finance Committee on Tuesday. Physician faculty salaries at the HSC currently rank in the 25th percentile nationally, meaning 75 percent of faculty doctors at other public academic health centers are paid more. Roth said the HSC would like to see its physician faculty salaries fall between the 25th and 50th percentiles, which would help UNM retain and recruit quality health care instructors, researchers and providers. In addition to teaching, many HSC faculty members also treat patients at UNM Hospital, UNM Sandoval Regional Medical Center and other UNM clinics around the state. “We’re in the process of trying to catch up with peers around the country,” Roth said, reminding lawmakers that just 7 percent of the HSC’s $1.7 billion budget comes from state appropriations. “The bulk we generate on our own, mostly through clinical revenues or research grants,” he said. 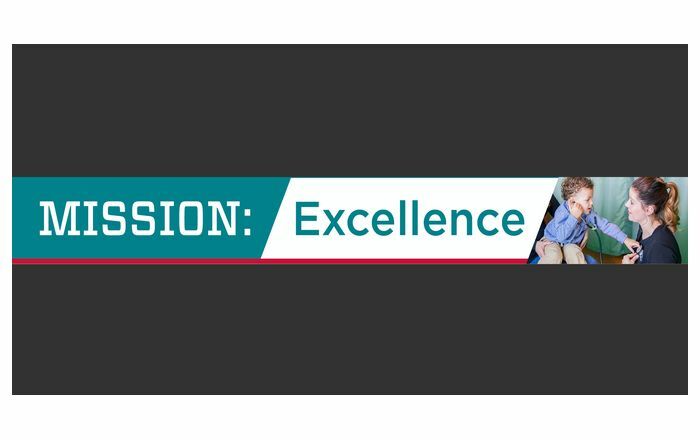 The HSC is also seeking support for two specialty centers that aim to address long-standing health and social problems in New Mexico – opioid addiction and child abuse. To help address the latter issue, the HSC is hoping to expand programs specializing in the diagnosis and treatment of child abuse and neglect. 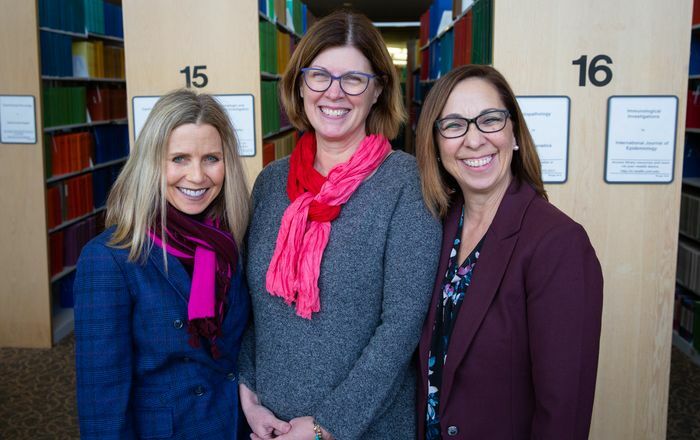 The HSC is requesting $779,000 to help establish a Center for Childhood Maltreatment, which would expand UNM Hospital’s ability to recognize and treat young victims of physical, sexual and mental abuse. It would also enable UNM's specialists to provide consults with other providers, law enforcement and state child welfare officials throughout the state on child abuse cases. The HSC is also requesting $1.9 million to help support and expand the UNM Pain Center, a multidisciplinary referral clinic where patients can see a team of pain specialists who use a variety of traditional and alternative therapies to manage chronic pain, while working to stem addiction to opioid pain medications. The UNM Pain Center educates health care providers throughout the state on how to best treat chronic pain and safely prescribe opioids. 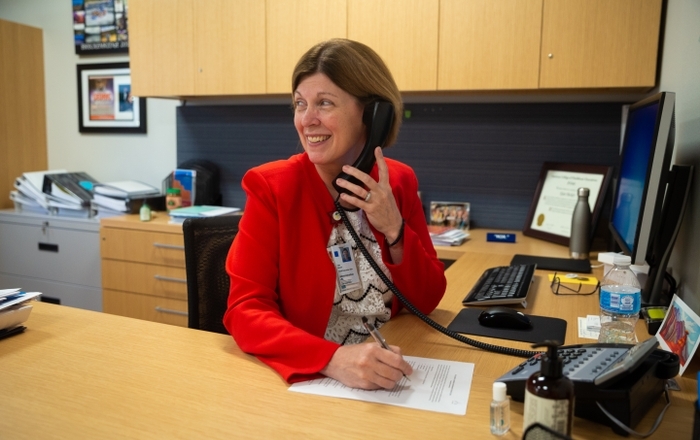 It is one of many UNM specialty clinics that use Project ECHO (Extension for Community Healthcare Outcomes), to link UNM specialists to primary care providers across the state via video conferencing technology. Project ECHO, which is seeking $5.2 million from the state for its internationally recognized program, gives patients in rural and underserved communities access to specialty care, while allowing most of that care to remain in their own communities, “which is where we think it should be,” Roth said. Other funding priorities outlined Tuesday include continued funding for medical school residency slots, the number of which New Mexico Gov. Susana Martinez and lawmakers expanded last year. The HSC is also addressing the state's oral health needs, seeking funding for a “BA/DDS Degree Program,” which would provide a scholarship-funded pipeline for New Mexico high school students interested in becoming dentists. Similar to the HSC’s successful BA/MD program, most students would come from rural and underserved areas in New Mexico. And the HSC is seeking $8 million in severance tax bond funding to complete its Domenici Center for Health Sciences Education complex. Roth said the project will provide much needed classroom and lab space at the HSC, which has already expanded class sizes to help alleviate the state’s health care provider shortages. Following Roth’s presentation, Richard Larson, MD, PhD, the HSC's executive vice chancellor, briefed lawmakers on those shortages. 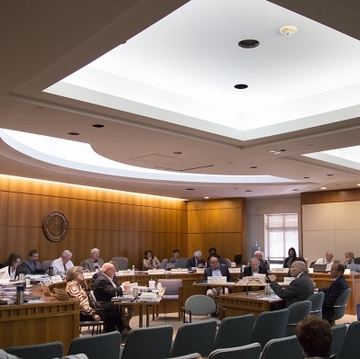 Larson chairs the New Mexico Health Workforce Committee, which is required by the Legislature to evaluate and make recommendations on the state’s health care workforce needs. Larson distributed a map highlighting severe provider shortages, especially in less populated counties. Larson also noted that New Mexico’s physicians are on average older than those other states, with an average age of 53.6 versus 49 nationally.